The walks are wonderful, the scenery magnificent, the weather imaginative!!! – but it’s the walkers themselves who make these walking holidays special. 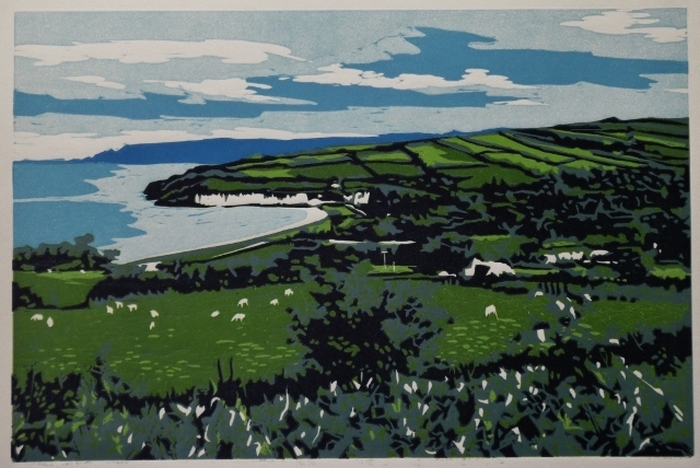 Each year I look forward to meeting new people , hearing their stories as we watch the waves breaking on the Wild Atlantic Way or brush through the heather or clamber over the rocks on the mountains. 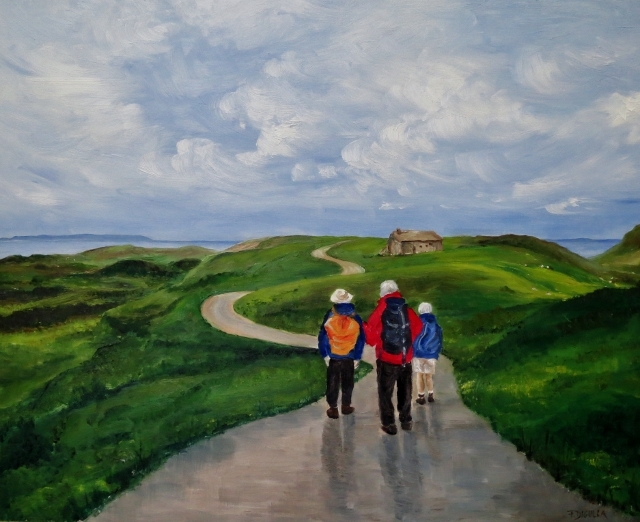 On one of our walking tours last year we had a delightful woman from Canada – a very modest woman too I realised later when she sent me her paintings that had been inspired by her walks in Donegal and Rathlin Island. 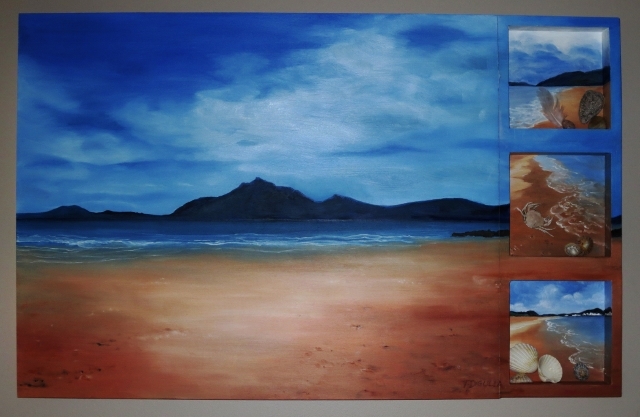 She really has exceptional talent – her painting of our walk on Rathlin Island could fit with the Tory Island primitive school – although her use of colour is deeper and warmer I think. 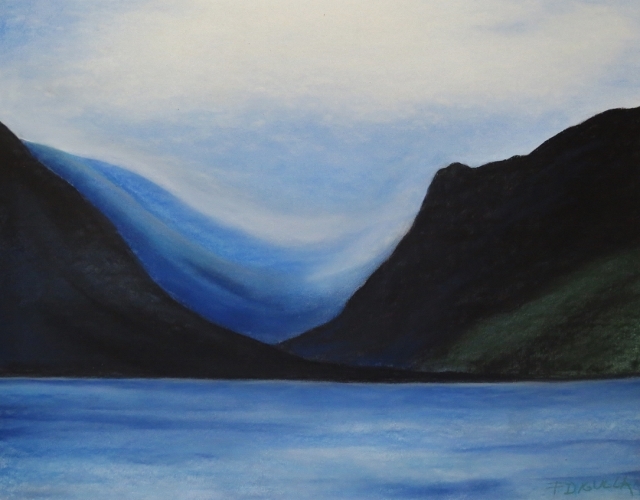 Here are her paintings – what do you think yourselves?